This book will provide you with all the necessary information in establishing an ergonomically safe studio, kiln room and storage area. Important procedures for establishing classes in your private studio are also presented. For new teachers, you will learn how to formulate curriculum for each of your intended classes, public school ceramic programs, grades K-12, Continuing Adult classes, and the methods towards achieving a successful Potter’s Cooperative, or group studio. Maryland potter, Jayne Shatz clarifies the dilemma of identification and storage of large quantities of student work. 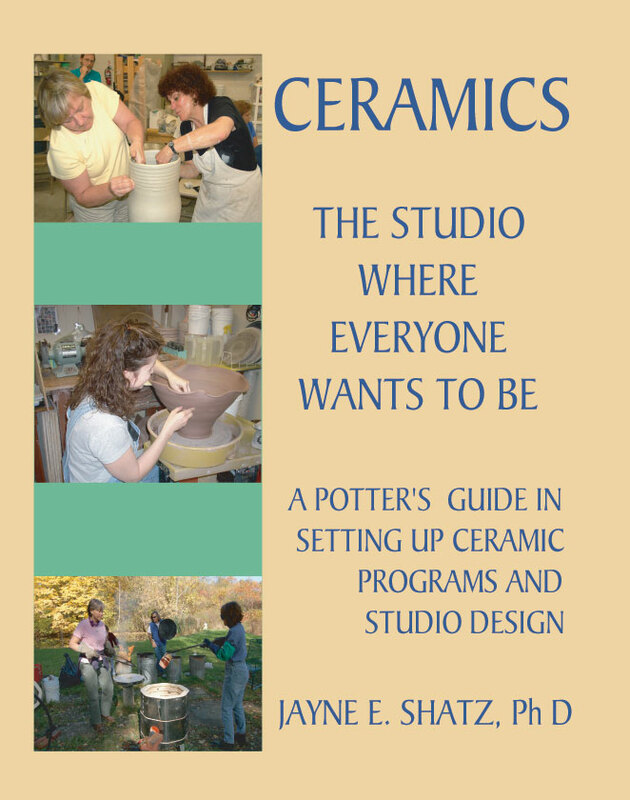 This book is essential for any facility that is interested in ceramic classes as well as the individual ceramist who is interested in teaching in their studio or public spaces. After teaching for thirty-five years, Jayne established the criteria for ceramic education on many levels. She has vast experience in efficient, creative and effective ceramic programming. Peruse the book's Cover and Table of Contents. This book will provide you with invaluable support as you launch your own ceramic studio and program. In the book, Jayne has also included anecdotes of her exploits as a young ceramist and teacher. You will enjoy reading this book and will keep it by your side as you embark upon your exciting journey in working with clay. You can purchase the book directly from Jayne Shatz for $35.00, which includes shipping and handling. You can pay with Pay Pal (United States only), Visa, MasterCard, Discover Card or personal check. For PayPaL, go to the Home Page and click on the PayPal button. You do not have to be a member of PayPal to use its services. All other payment methods, contact Jayne by email.